Green City, in Pudong New Area is a classic example of the International Communities that exist in Shanghai. 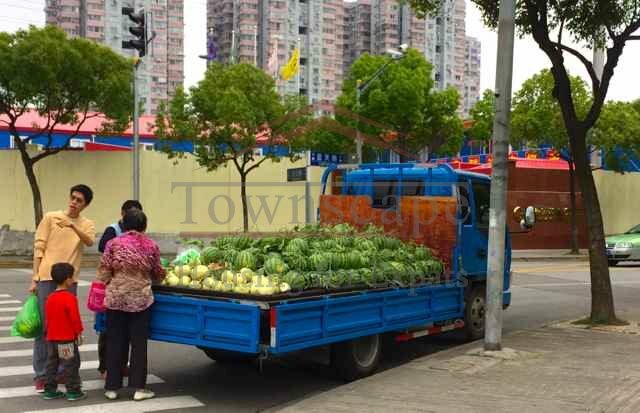 Living in Green City is the closest you will come to upmarket American-style suburbia in Shanghai. Green city is the biggest expat community with many extended functions for international living in Shanghai with a huge array of tailored services and offerings for expats in Shanghai. 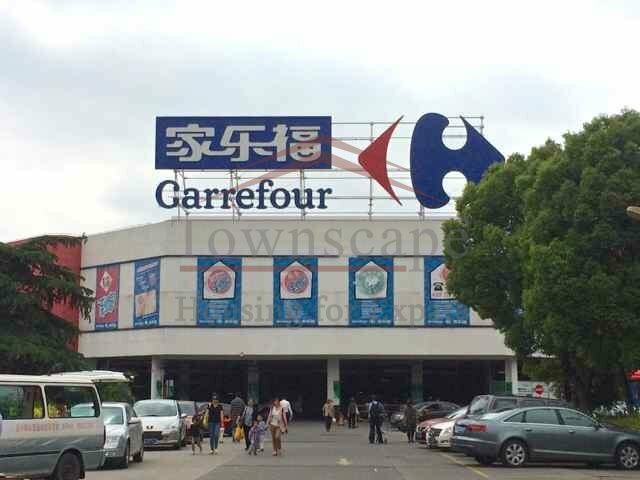 Wide-open boulevards with spacious cycle lanes and footpaths shaded by trees, high-end housing options and large-scale international centres like Carrefour are what characterise these areas – but of course there’s still a taste of China with local street vendors. There are pockets within Green City that are catered purely to expats and you’ll see lots of westerners jogging, taking their kids to preschool, grabbing a pastry from a French bakery or finding English teaching resources for their kids. Green City has been designed from scratch to cater to a modern international community by providing generous living spaces and facilities and is based on a ‘low density and high taste’ concept that is in harmony with nature. Many accommodation options are tailored to high-income foreigners and offer great security and facilities, making it the most populated residence of Shanghai Expats. Green City is well known for its sport and entertainment facilities, namely the Green Sports and Entertainment Center equipped with all your sporting needs from swimming and gym to football. There are also many smaller stadiums and sports facilities scattered throughout the region with options for expat children to learn local activities like Kung Fu! You will also find modern commercial streets set up with supermarkets (including a GIANT Carrefour – as seen on the picture), interesting restaurants, bars, international book stores and art galleries. A key reason this area is so popular for expat families is the range of international education available. Green city has a lot of local specialities to offer. Colleges like Dulwich College Shanghai are exclusively for foreign children and Concordia is a well-known bilingual school with over 70% of their teachers from America. There are also lots of Mandarin learning centres if you are keen to develop some local lingo while you’re here. Green City definitely merits the name “green” being the pioneer of an environmentally prioritised neighbourhood and the first area in Shanghai to have passed the ISO14001 Environment Quality System. 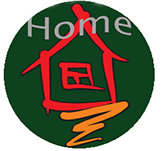 The environmental standards and governance of this area meet international standards and artificial ecological plants are strategically places alongside roads and living quarters. The upwind location of Green City and proximity to the East sea means Green City’s air condition and sound environment is as good as it gets in Shanghai. 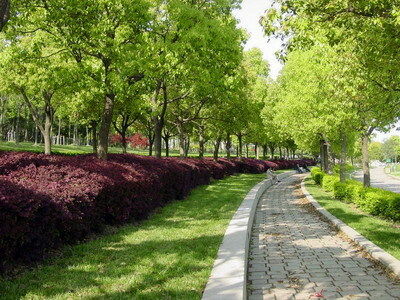 The green city is beautiful during summer and spring. Japanese and Chinese landscaping styles. Simply going for a walk is lovely, or for more upbeat entertainment there is a concert stage as well as tandem bicycles for hire to explore the whole park. There is a 10 yuan entry fee, but if you’re living in Green City it’s probably worth buying a month pass at 30 yuan so you can drop in at any time.